Our first New Year’s resolution is something that all companies could (and should) focus on. The security of your workplace is important to the overall well-being of you and your employees. 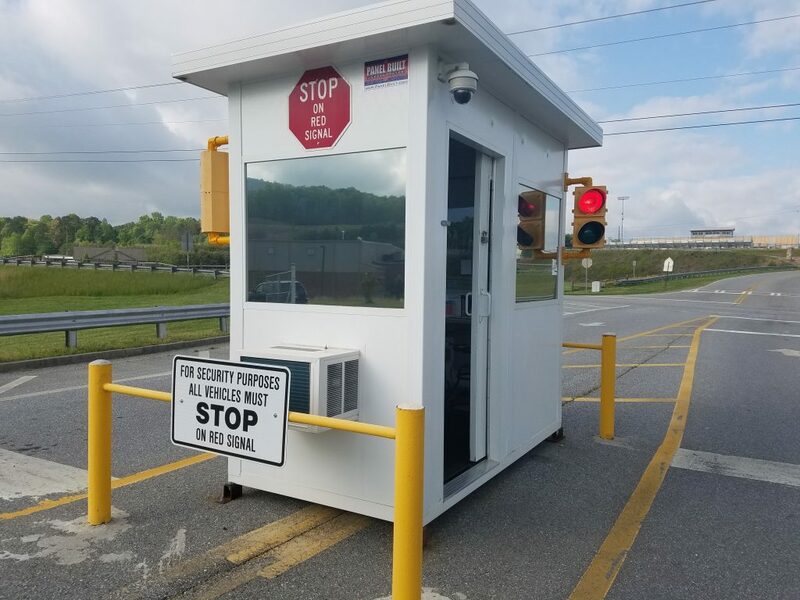 As we mentioned before in a previous post, “How Guard Booths Boost Your Workplace Security,” certain industries and sectors naturally place a high emphasis on security: airports, government facilities, schools, and hospitals. However, other industries do not seem to follow suit. Of all industry sectors, the “transportation, logistics, warehousing, & supply chain”, sector has 417 employees per security worker, by far the highest of any sector. Providing extra security, especially for after hours, not only allows you to catch any potential predators but also works well as a preventative measure. Having a guard building and/or surveillance system, boosts the overall security of your facility, providing valuable protection for your inventory, but more importantly, your employees. This improved security system will provide your facility with peace of mind throughout the New Year. We’re sure many companies have this New Year’s resolution every year. However, even when companies are successful in their growth stage, there can be some serious growing pains along the way. For most companies, growth means having to deal with more inventory, more employees, and a very tense series of deadlines to keep all customers satisfied. Unfortunately, the facility that you currently have will not be able to magically grow with your company, and you will have to decide on a few options in order to provide you with the necessary room to operate. Adding on to your facility and building a new facility both provide you with the extra facility space you need, but they can both be extremely expensive and could even potentially cause a lot of downtime. Conversely, solving your space needs through modular construction could soothe all of these problems. For instance, a structural steel mezzanine can provide practically double the storage space in your facility at a fraction of the cost of building a new facility. 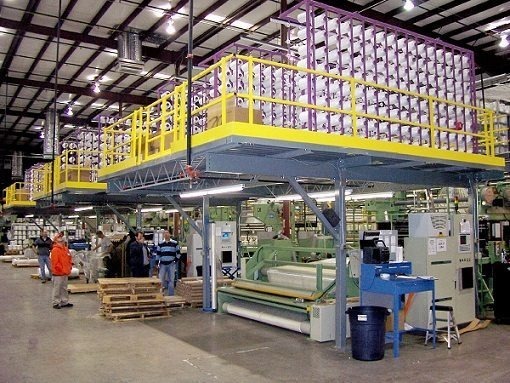 The mezzanine can be designed, manufactured, and installed in about a month and causes little to no downtime in your facility! Plus, the structure can be disassembled or can even be expanded in size later on. These structures are a sure fire way to achieve this resolution! This resolution also appeals to nearly all business owners and managers. Finding new and innovative ways to improve your company’s efficiency helps improve your bottom line and makes your work processes run more smoothly. Utilizing modular construction to improve your facility can help you do just that. Like Henry Ford and his assembly line, modular construction can allow you to specialize your facility, creating areas designed to do a specific task. 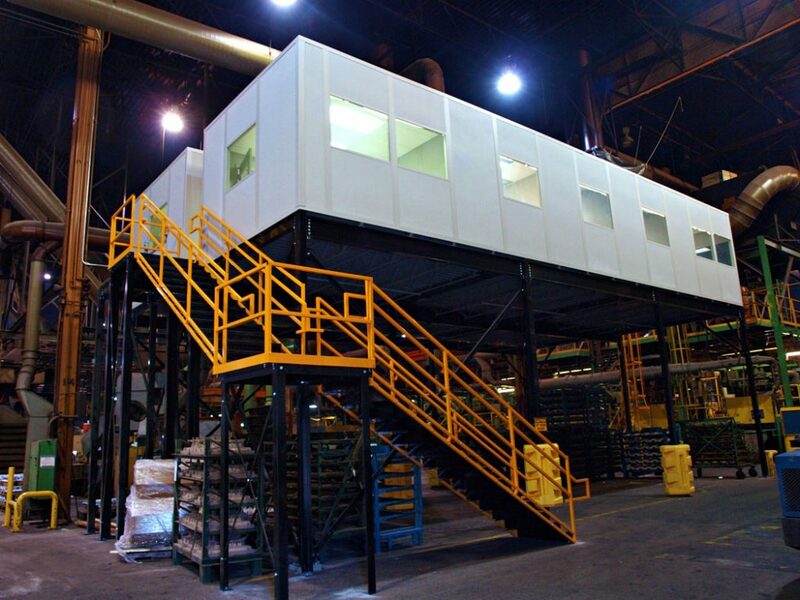 Structures such as modular offices, clean rooms, and mezzanines not only can provide you with more room in your facility but also provides an environment specific to the task that is being performed. With a modular office, you can provide an environment that has reduced noise, allowing for a much more controlled area that is more acclimated for administrative work. However, the biggest benefit is the office’s location to the warehouse floor. With this positioning, the supervisor or manager will be able to accomplish all of his duties while simultaneously keeping an eye on all the facility processes. Similarly, a mezzanine can allow you extra overhead storage, preserving the warehouse floor for foot and forklift traffic. For most places, the warehouse and facility floor can be a hectic and chaotic place for all people involved. In fact, OSHA has standard “occupational noise exposure” requirements for companies to prevent contact with potentially damaging noise. If you include all of the procedures workers must follow to ensure a safe work environment, meet deadlines, and ensure quality, warehouse employees are constantly under a great amount of pressure. This pressure can lead to brain fatigue, or an overall dulling of your mental awareness, leading to reduced cognitive factions and an acceptability to errors. To reduce these symptoms and minimize stress, break rooms in a manufacturing facility have been shown to reduce tension and boost productivity by allowing a place for workers to take a break and decompress. As mentioned previously, a modular office can provide this specialized area, away from the loud and busy warehouse floor, allowing your personnel to return to work refreshed and productive. Over time, facilities can become more and more unorganized due to growth or even complacency. Understandably, your inventory of goods can get out of control in your warehouse at any given point in time. Although warehouse overcrowding is not always a bad thing (because of business boosts or a seasonal fluctuation of goods), but it never results in something good. However, organizing your warehouse should not feel like an unobtainable New Year’s resolution. With the extra space that a warehouse mezzanine offers , more room can be made for forklift and logistic operations. This can improve the efficiency of your facility and the overall perception of your operations from your employees and visitors. Similar to improving the security of your warehouse, promoting safety can seriously improve your ability to guard your inventory but also allows you to preserve yourself from workplace injuries. Using guard rails to protect your inventory, offices, and mezzanines, not only allows you to protect your investments but also offer a crumple zone of sorts for your forklift operators, preventing damages to good and equipment. In this case, the heavy forklift can hit the guard rail without causing massive damage to your goods, the equipment, or the employees themselves. Finally, to boost your environmental efforts going into 2017, many companies will make their New Year’s resolution to Go Green. Modular construction takes advantage of a process known as “Mass Customization.” One way to achieve this is through modular construction. When constructing a modular building, the same paneling that used to create one building can be snapped into place on another building. In the factory, inventory is easier to control than a traditional construction site. All materials have set storage areas that provide easy management and movement. In fact, WRAP, an organization dedicated to resource efficiency, stated that “Volumetric (modular) building systems are the ultimate in offsite manufacturing technology and their substitution for traditional building methods typically leads to a virtual elimination of all wastage bar excavation spoil for ground preparation.” They also showed that an estimated 70-90% of construction waste can be eliminated through offsite construction practices.